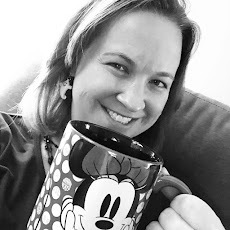 After taking two Walt Disney World trips with a toddler, there are some "mom hacks" I've learned to make navigating long days in the hot Florida sun more manageable. Today, I'm going to tell you about my double diaper bag strategy for the parks. Even when traveling with just one child, I brought two diaper bags into the parks. Each diaper bag had a distinct purpose and was used in a different way. This diaper bag is one that will be with you all day, no matter what in the parks - inside restaurants, on rides, in shows, etc. 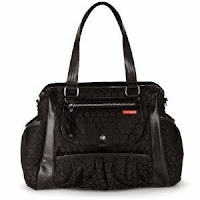 For that reason, you want this diaper bag to be relatively small and easy to carry. We have a Columbia backpack diaper bag that is comfortable for both me and my husband to use (he's particular on what diaper bags he'll carry around). This diaper bag should have a few diapers, wipes, some small toys to entertain little ones while waiting, small bag of snacks (or two!) and a drink. You don't need to throw everything in here - that's what the second bag is for - but rather think about what you might need right away in a ride line in the case of a toddler meltdown. In addition, any valuables that you want to keep with you in the park should stay in this bag too. Your second diaper bag should be larger and be well stocked to last throughout the day. An extra change of clothes, more diapers and wipes, additional snacks and drinks, sunscreen, and maybe those layering pieces for when evening sets in and the sun goes down. 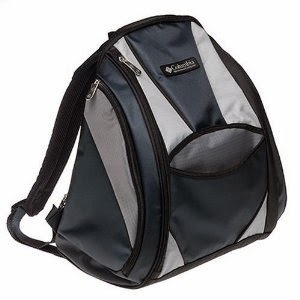 This diaper bag will remain with your stroller throughout the day - not always with you. We have a Skip Hop Studio bag that we used for this purpose. It hooked perfectly to our BOB stroller and was the ideal size to store all of those "extras" we may need during a long day in the park. I was surprised on my first trip to Walt Disney World to find out how many places did not allow strollers inside. Since this diaper bag will be staying with your stroller, make sure nothing valuable is inside of it in the off chance that the bag or stroller is taken while unattended in the park. As the day wears on, you can replenish the supply in your smaller diaper bag from reserves in this larger diaper bag. While packing two diaper bags may seem like a bit much, planning ahead and having what you need with you to survive for the day will make your visit more enjoyable. In addition, it will also save you money. Most of the things babies and toddlers will need while in the parks are available for sale, but at a premium price. When packing your diaper bag, think like a scout and "always be prepared!"